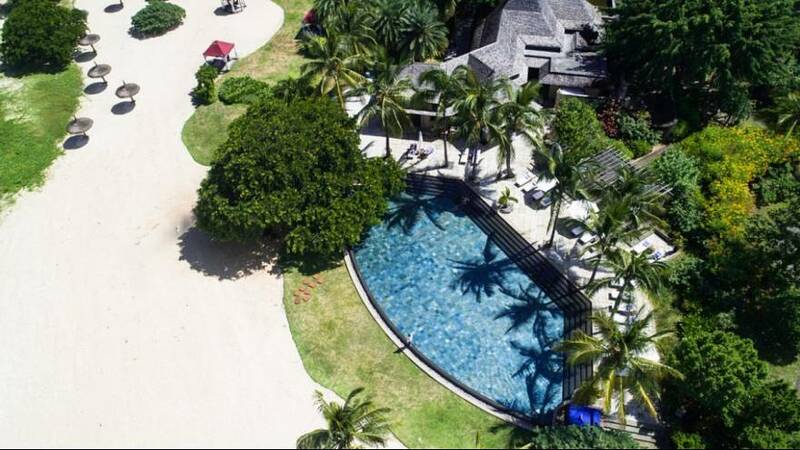 Mauritius’ reputation as a destination for luxury resort-like holidays is a sure thing. So, when I got invited last Autumn to discover it - for the first time - all sorts of images came to my mind; mostly turquoise water and pristine stretches of white sand peppered with sunburnt wealthy tourists. Of course, this was indeed one part of the islands’ identity but so much more awaited an 11-hour flight away. French isn’t the official language of the country - English is - but most people seem to speak it fluently along with Creole and other ancestral languages, making this tiny bit of civilization in the Indian Ocean (2000 km south-east of Africa) a rich kaleidoscope of cultures. As a result, the calendar is packed with festivities all year round as Mauritians celebrate Christmas and Diwali, Chinese New Year and Thaipoosam Cavadee (new moon) with equal enthusiasm. Maradiva Villas Resort & Spa where I was invited to stay is located on the West Coast (it’s the only 5-star luxury in the area), which is a great landing point to discover the whole island - baring in mind that pretty much everything is less than an hour’s drive away anyway. The closest beach, located on the hotel’s grounds, is Flic en Flac. It is known for being particularly secluded and offering excellent underwater activities. A short hike along the beach gave me the opportunity to take loads of selfies with the spectacular Unesco heritage site Le Morne mountain on the background. I have to say it’s probably the best selfie I took all year. As for local aquatic expeditions, you’re in for a real treat as nothing beats the good old-fashioned submarine. Close by, Blue Safari Submarine is the only company operating them commercially in the Indian Ocean. 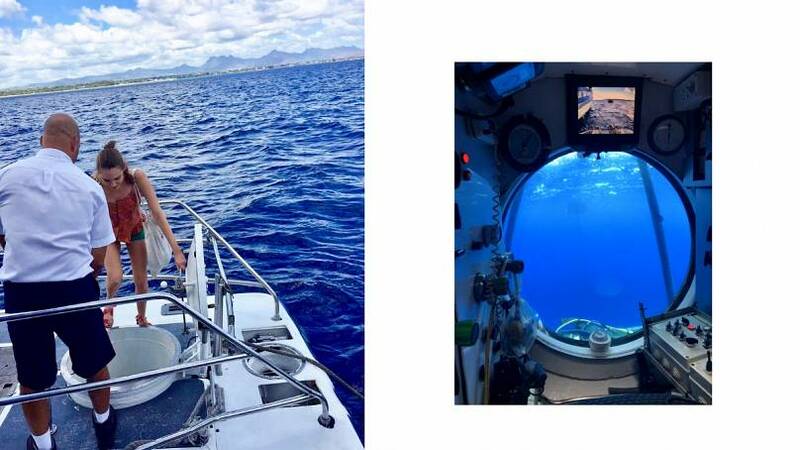 Not giving away too much about the experience, which is really ‘once-in-a-lifetime’, I’d only say you’ll be given a magical tour 35 metres under the sea and brought closer to endangered underwater reefs - most of which could be gone in 10 to 15 years as a result of climate change. 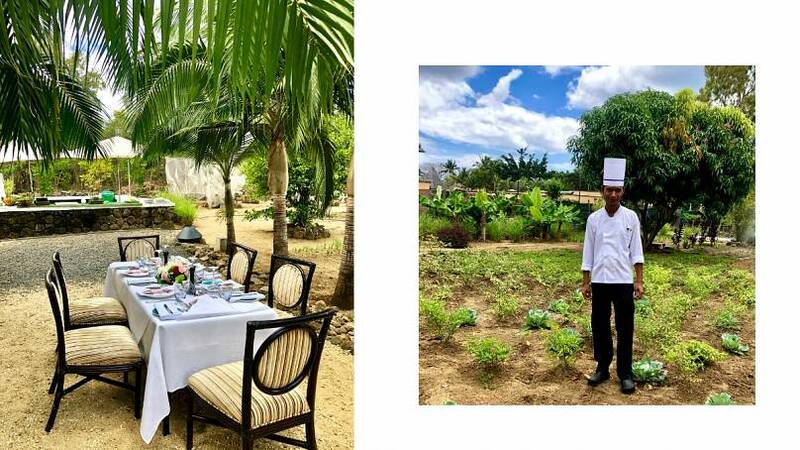 Opposite the hotel’s entrance you’ll find the ‘Karo du Chef’, Maradiva’s and its sister hotel Sand Suites Resort & Spa own organic kitchen garden that you can visit freely. This is where chefs of various restaurants (Coast2Coast, Cilantro, Teppan) source the majority of their ingredients. Two acres of organically-grown fruits, veggies, and herbs including giraumon pumpkin, exotic fruits, and custard apples are grown on-site. Overall, Maradiva actually manages to independently cultivate 80% of the herbs, 60% of the fruits and 30% of the vegetables needed in the kitchens. Additionally, the garden hosts four to twelve beehives which help with pollinating the flowers and increasing the harvest whilst also producing the honey you’ll find at the breakfast buffet. During an outdoor cooking class, I got the chance to witness and take part in the making of a beautiful Mauritian chicken curry with herbs, white rice and homemade pickles. The meal was then devoured alongside fellow journalists on a long table set in the middle of the garden. A unique foodie experience that is highly recommended. If you’re not really a Masterchef yourself, and prefer to watch than to make, head to Teppan restaurant. Every night, chef Kelly sets the restaurant on fire, so to speak, with a live show of impressive Japanese cookery moves performed in front of a 12-seat counter audience. Of course everyone is in awe, trying to capture the action as accurately as possible without losing a hand (or worse, an iPhone) in the process. The food is obviously delicious and as fresh as it can possibly be. For a more refined and romantic setting Cilantro restaurant serving modern fine dining Indian fusion cuisine would be a preferred choice. It embodies the chic and relaxed atmosphere you’ll find in and around Maradiva. 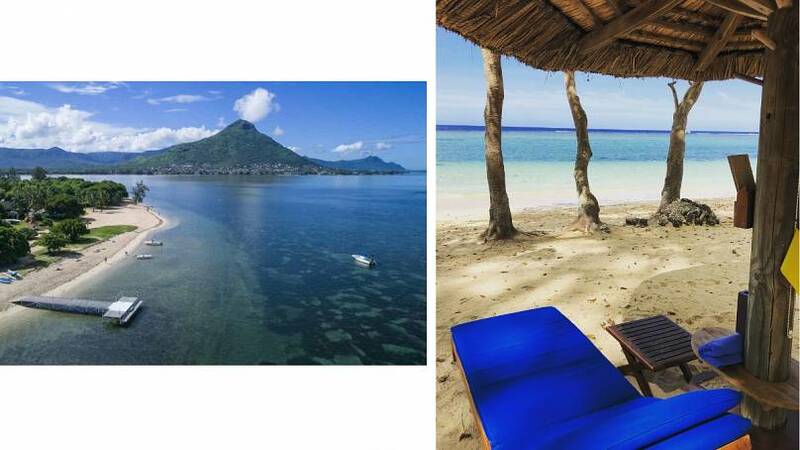 The ultimate romantic spot - read: wedding-like - settings are of course the beach itself where you can dine at candlelight or, alfresco on the terrace of your private villa. 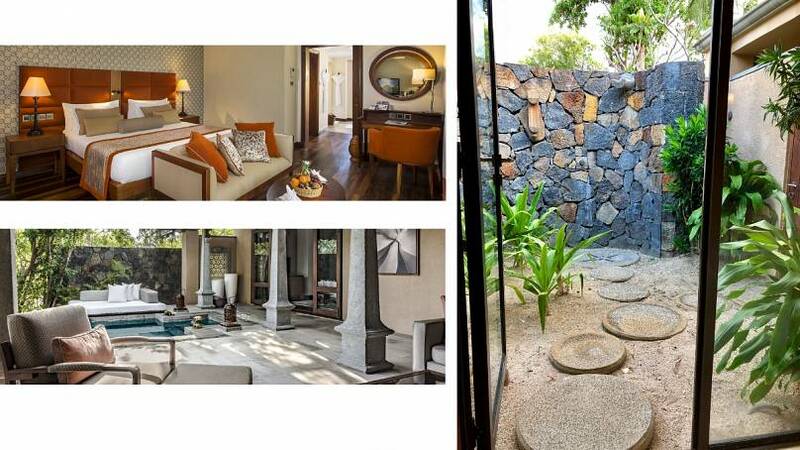 Speaking of which, each villa - 65 in total, between 163-345m² - comes with a private plunge pool and outdoor shower providing the complete isolation you’ve been craving without even knowing you did! The silence at night is a blissful, especially enjoyed with a glass of wine on the terrace under the moonlight and clear sky. The private butler service adds a layer of comfort. The spa is another highlight of Maradiva. 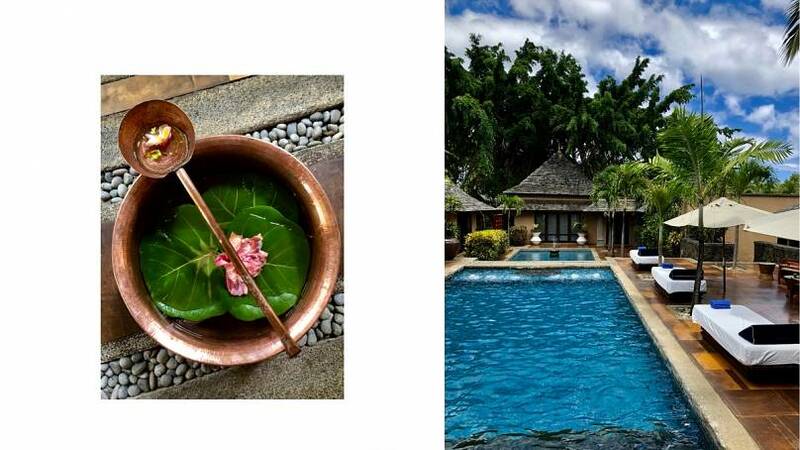 Located in its own villa-like facilities, it blends Indian and Western traditions offering Ayurveda as well as deep-tissue massages and Balinese plant-based treatments. 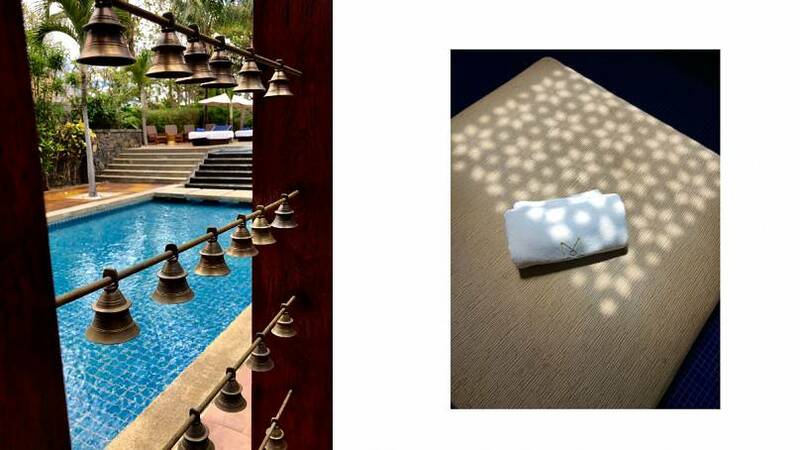 Yoga sessions, guided meditations, and shiatsu are also available upon request. 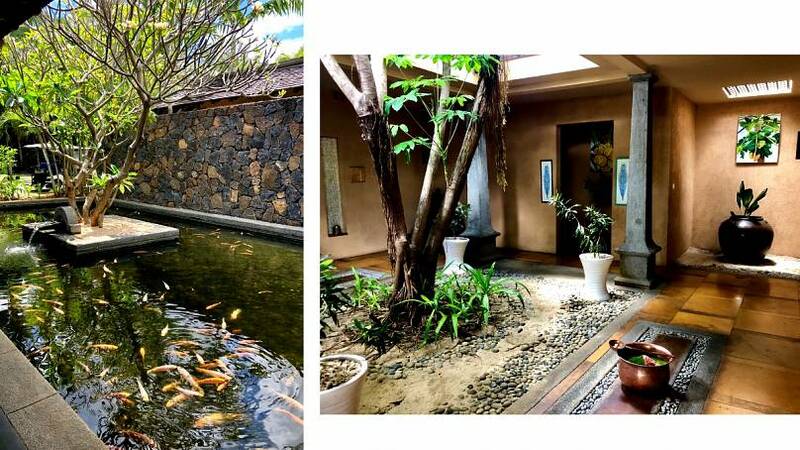 I went for the Ayurvedic full-body massage, a wholesome experience that works wonders on built-up stress, followed by a long session in the spa that includes a sauna (dry), a hammam (wet) and a particularly scenic outdoor pool. I could definitely get used to it. How to say goodbye? At sunset, head to the outdoor swimming pool, at the end of the road which faces the Indian ocean and overlooks Tamarin Bay. Order a virgin Mojito from the Breakers Bar (they are divine - specially served without a plastic straw) and swear you’ll come back.